When people hear the word “quilting,” most automatically assume that it’s an all-encompassing term for the art of sewing together patchwork blankets and nothing more. We over at AllFreeSewing know that isn’t the case and that quilting is so much more than blankets. “Quilting” is the art of sewing together layers of fabric to create a thicker and padded material, and blankets happen to be the most common quilting project. You can make many varieties of home decor and accessories with quilting fabric! Blankets are the most popular and common, of course, and with good reason. They’re basically one large rectangle that you an create as big or as small as you want, and blankets are always handy in a house, no matter the season. With some sturdier fabric, you can also create a picnic blanket! You can also create smaller quilted pieces, like table runners, place mats, tablecloths, oven mitts, pot holders, and coasters. If you’re also looking to create some great quilted accessories, try your hand at some sturdy quilted bags; they provide the durability of fabric but with added strength. The classic quilted project – an actual quilt. Whether you’re looking to make a smaller baby quilt or a larger one to fit over an adult bed, you can find all the inspiration you need with these classic quilting squares and patterns. Does your kitchen need a makeover? 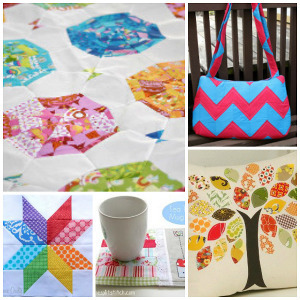 Sew up some great DIY home decor pieces with these easy quilting projects. 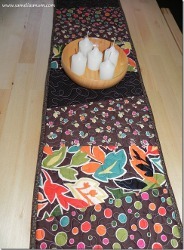 Choose between table runners, over mitts, and pot holders for a fab new look! A fabric bag is very durable, and it’s very easy to make. In order to be sturdy enough to carry, say, groceries home from the store or market, the fabric needs to be thick and strong. You can even make smaller cosmetic bags to contain all your makeup when traveling. 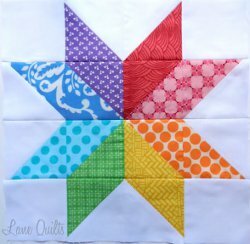 BONUS – Can’t get enough quilt block patterns? 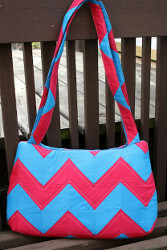 AllFreeSewing and Martingale are teaming up to give away A Quilter’s Ark! 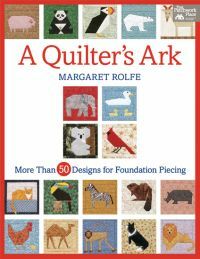 Full of animal quilt block patterns, A Quilter’s Ark is the perfect pattern book for the animal lover in your life. With over fifty animals to choose from, the quilt possibilities are endless! 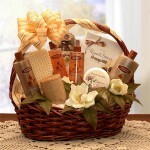 Enter daily from 4/14 – 4/28 to win! 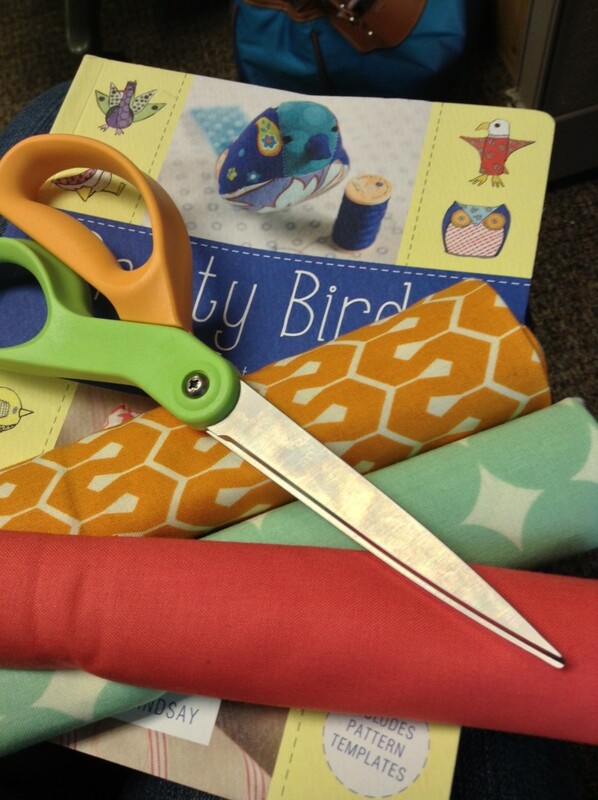 What’s your favorite quilting project? We’re all familiar with the sock puppet. Perhaps it was the mediator between you and your parents, or maybe you used it to coax a one year-old into eating their peas. However you’ve encountered it, you’re sure of one thing: there’s little to be done that could improve the classic look of the sock puppet. That is, unless you happen to have Sockology. Brenna Maloney presents 16 sock creatures in her book, Sockology. From a rooster to a shark, these are forms you’d never expect to see emerge from a sock. The last time shapes this varied formed from hands was when shadow puppets were invented. These creatures are truly surprising. 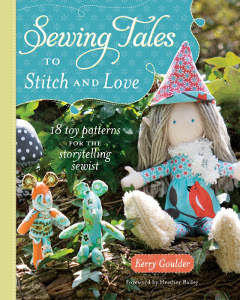 If the design element of these sock puppets isn’t enough to tempt you into buying this book, we ask you this: do you have kids? Nieces, nephews? Do you babysit? At any point in your day do you interact with children or at the very least with a childish, yet loveable, friend or roommate? Sockology doesn’t only challenge you to craft creatively, it challenges you to play creatively. These sock puppets transcend the often base video games or apps that attract so many young people. Instead of mindlessly making digital toast or topping ice cream, kids will engage with their motor skills and imagination when they make and play with one of Maloney’s 16 puppets. Don’t be swayed by their fine knit appearance either. You can create these creatures without picking up your knitting needles. AllFreeSewing fans are sure to love this bonus. 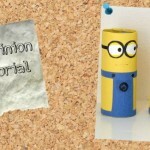 Merely take a sock, follow Maloney’s tutorials, and create a creature of your choice. Houdini couldn’t have achieved such a transformative feat. 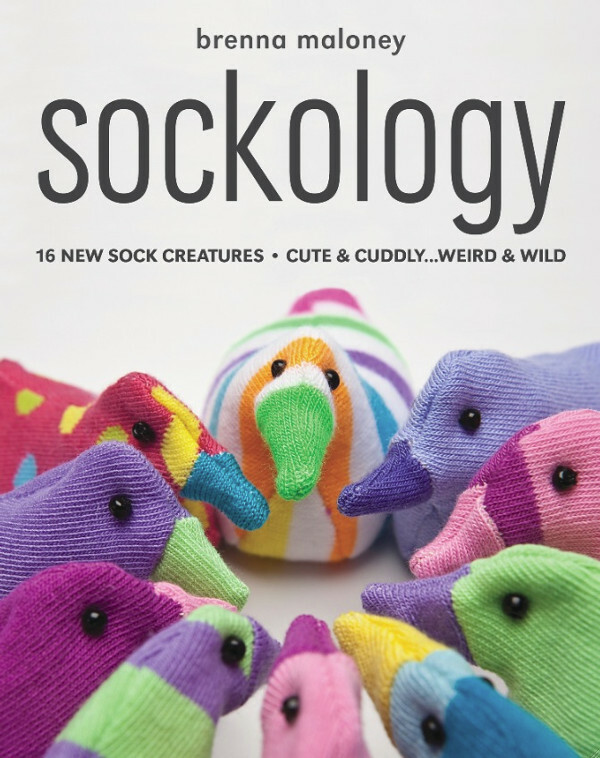 If you’re at the very least curious to browse through Brenna Maloney’s, Sockology (which you should be), why not click to enter our book giveaway and chance winning your own free copy? If you’ve read our review on Sockology before and are absolutely determined to win your own copy, you can even come back every day and enter to increase your chances of winning. You have until July 22nd to try your luck. It’s been done before; it could happen to you. Did you have a sock puppet when you were little? 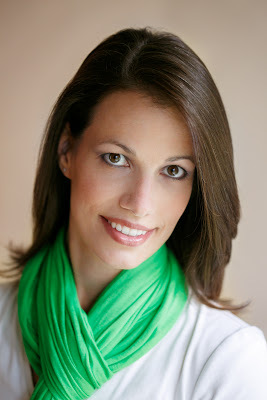 Alisa was kind enough to answer some fun crafting questions for our FaveCrafts readers! 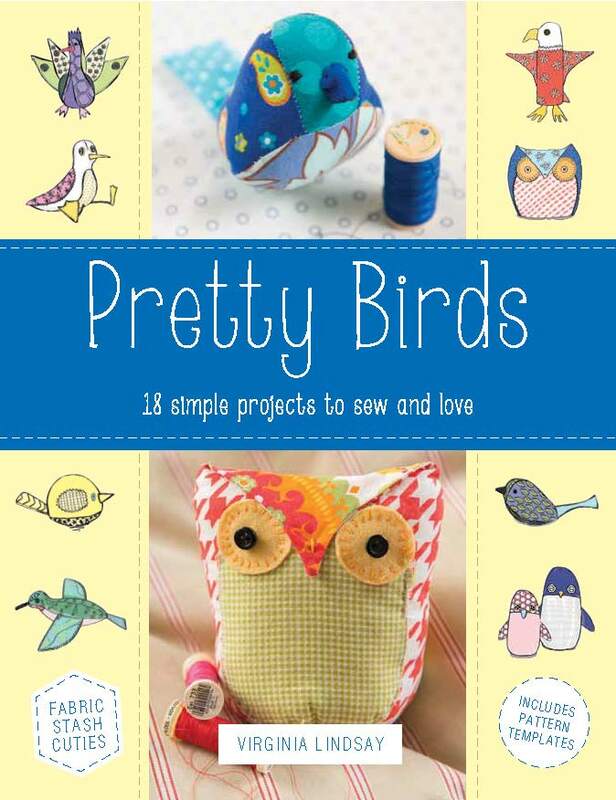 Read more about Alisa and her new book Sew Wild. Question: If you were stranded on a deserted island and could only have one art or craft tool with you, which would you choose? Question: A lot of your work has a graffiti look; what else inspires you visually? Alisa: While I am typically known for lots of my graffiti inspiration, it is actually just one of many things that inspire me. I most often pull inspiration from nature (the beach, flowers, colorful landscapes, etc.) and always try to look for inspiration in everyday things. I can’t seem to not see inspiration: a crack in the sidewalk, the color palette in a plate of food, shadows that are cast across the water-things that might go unnoticed often end up being used for inspiration in my work. Question: You write on fabric a lot. What are some of your favorite marking tools? 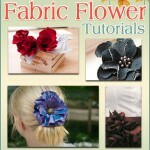 Alisa: Yes, when I am creating my own fabric I typically write and draw on fabric and the tools I use are very basic. My favorite is just a permanent black marker or black fabric marker; you can do all sorts of fun stuff with just a marker. I also use a small brush that I dip in watered-down fabric paint or acrylic paint. Question: What is the biggest (or most frequent) mistake people make when it comes to design? Alisa: Probably not understanding color and how to use it. It is tempting to go wild with color or, on the flip side, only stick to colors that are safe and maybe even boring. But taking the time to really learn about color, how to use it, experiment with it, and plan it out will really take a design to the next level. Question: What kind of sewing machine do you use? Alisa: I use a Bernina Aurora 430 and I am in LOVE with it! 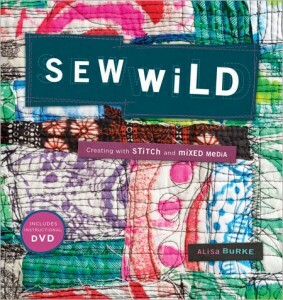 Check out Alisa’s latest book, Sew Wild.